James “Jim” F. Poppe, age 77 of the Town of Pella, passed away early Saturday morning, November 17, 2018 at Greentree Health & Rehabilitation Center, Clintonville. 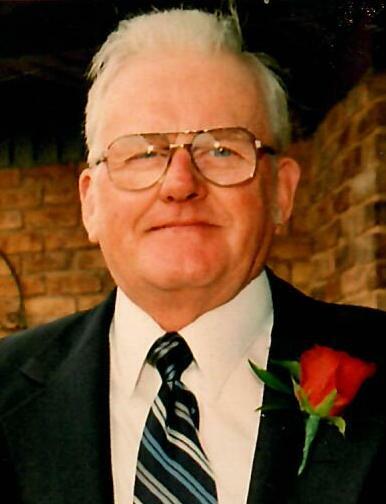 James "Jim" Frederick Poppe, of the Town of Pella, Shawano County, passed away physically at Greentree, Clintonville on his 77th birthday. Jim was born in Clintonville on November 16, 1941 to Fred & Edna (Sabrowsky) Poppe. He was baptized on Pearl Harbor Day, December 7, 1941 and confirmed March 25, 1956 at St. John's Lutheran Church, Marion, by Pastor Fred Ohlrogge. Jim grew up on a farm south of Marion, now the Tim Nolan Arena Farm, where as a teenager he owned a flock of sheep, was very active in 4-H and FFA, and won many awards showing them at the Waupaca County Fair. Jim graduated from Marion High School in 1960 and from Appleton Business School in 1962. He worked at Gustman Chevrolet, Cloud Buick and Allis Chalmers Material Handling in Appleton. Jim married Dorothy Wolf on September 12, 1964 at Bethlehem Lutheran Church, Town of Pella. Jim and Dorothy lived in the Appleton area for 17 years and were members of Zion Lutheran Church where Jim was active on church council and was an usher. On January 4, 1977, Jim and Dorothy bought the former Ervin & Elsie Binder farm in the Town of Pella where they raised beef cattle and Jim worked for Farmer's Implement in Shawano. Eventually Jim bought haying equipment and did round baling for his many customers. He also hauled grain in the fall, following the combine of Gerald Skogen. He also hauled cattle from auctions and to market for many years. Jim had his first heart attack at age 54 but it did not slow him down until he was diagnosed with pancreatic cancer in 2009, followed by two more cancers and another heart attack in 2016. Jim and Dorothy enjoyed polka and country western dancing. He was so proud of his baler tractor that his sons high-jacked while he was a patient at UW-Madison for six weeks. They took it apart and painted it and had our farm picture air-brushed on the tractor. Jim was a genuine Ford and Farmall man. Jim is survived by his wife of 54 years, Dorothy; Sons: Mark (Tammi Lee) Poppe, Clintonville & Brian Poppe, Pella; Two Grandsons: Charles of Oklahoma State University in Stillwater, OK and Chase Poppe, Clintonville; His Sisters: Janet Fritz of Marion and Joan (Bill) Mengert also of Marion; Brother-in-law: Harold Wolf, Pella. Jim was preceded in death by his parents, Dorothy's parents, Henry & Emma Wolf; an infant sister, Judith; his sister-in-law, Verl Wolf; and brother-in-law, Douglas Fritz. Funeral services will be held 11 AM Saturday, November 24, 2018 at Bethlehem Lutheran Church, Town of Pella, with the Rev. Timothy Lofgren officiating. Interment will take place in the Bethlehem Parish Cemetery. Memorials in Jim’s name are preferred to be directed to the family for a memorial to be established at a later date. Friends may call on Saturday at the church from 9 AM until the time of service. Special thanks to the nurses at ThedaCare At Home; Jessica and Nate and all the staff at Greentree in Clintonville; and Emily Winslow M.D. at UW Health in Madison who performed the l l-hour pancreatic surgery giving, us nine more years to be with Jim. I have fought the good fight, I have finished the race, I have kept the faith. Finally there is laid up for me the crown of righteousness, which the Lord, the righteous Judge, will give to me on that Day, and not to me only but also to all who have loved His appearing.